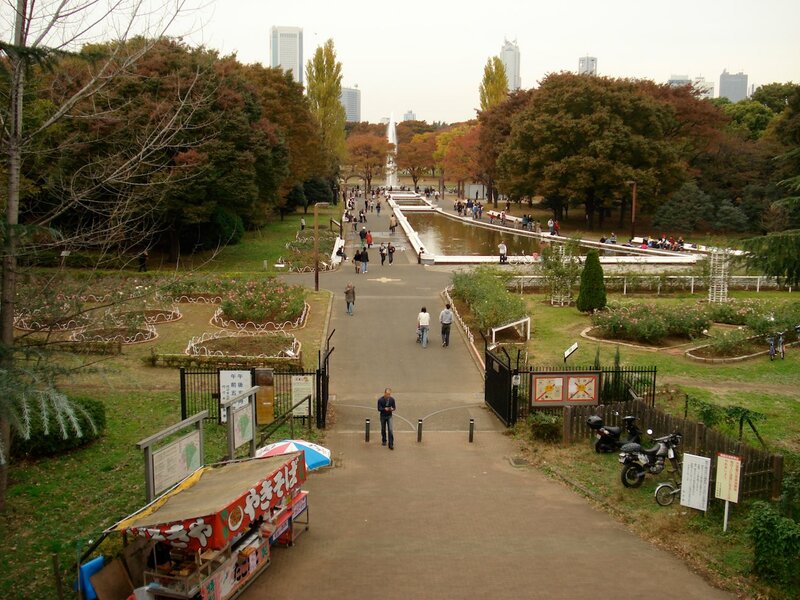 Yoyogi Park (代々木公園) in Harajuku is one of Japan's most active sites of counter youth culture. 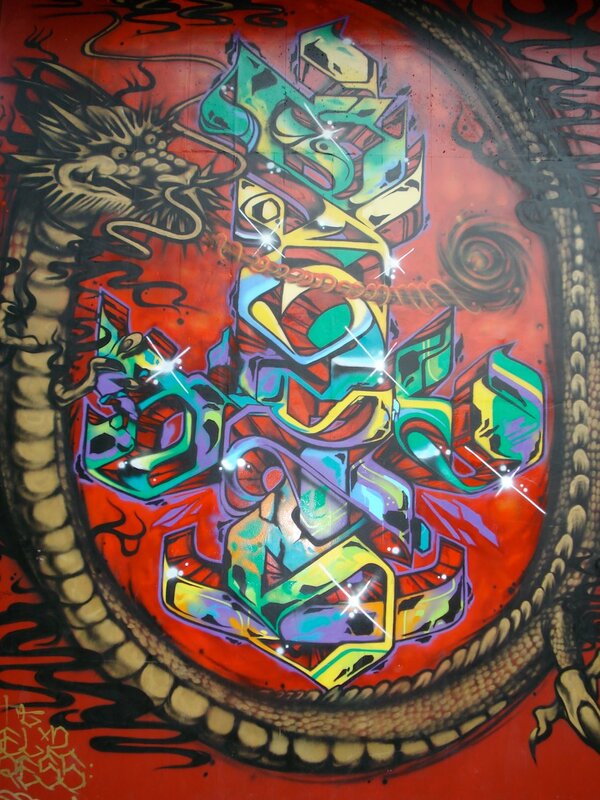 For more than 20 years, it has been the place that young people to hang out on Sunday and dismiss Japan staid business culture as irreverent. In return, the police periodically sweep through and attempt to clean up the "antisocial" aspects of the park. The park is one of the largest in Tokyo when combined with the adjacent Meiji Shrine and while it may not be the prettiest it sure is one of the most vibrant and colorful. It is a western style park with wide lawns, bike paths, forests, ponds and fountains. 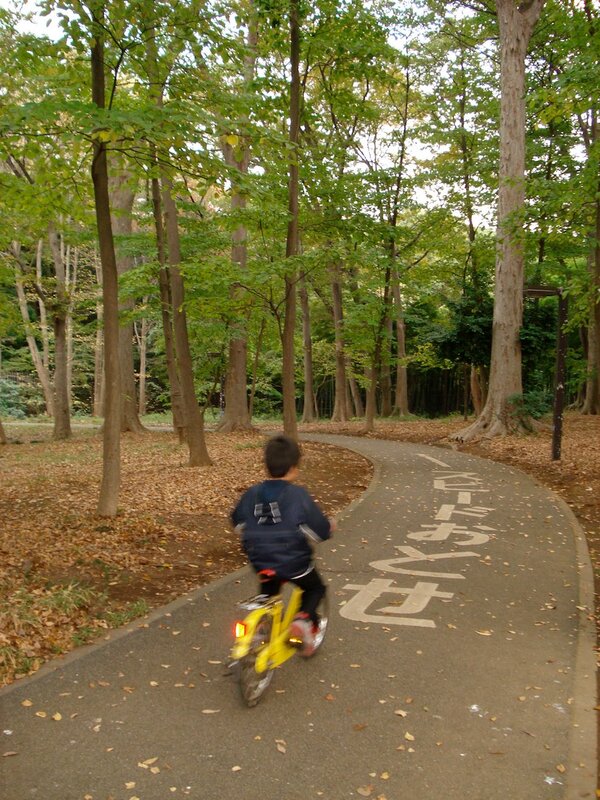 Yoyogi Park is a popular place to have a picnic, jog, bike and do many other outdoor activities. Rental bikes are available. On any given day, people will be practicing music, dance, martial arts and other sports throughout the park. There are a reasonable number of cherry trees in Yoyogi so it is popular in the spring for blossom viewing. As well, the forests of Ginkgo and other deciduous trees make it popular in the fall for leaf viewing. There is a small rose garden near the south entrance to the park. 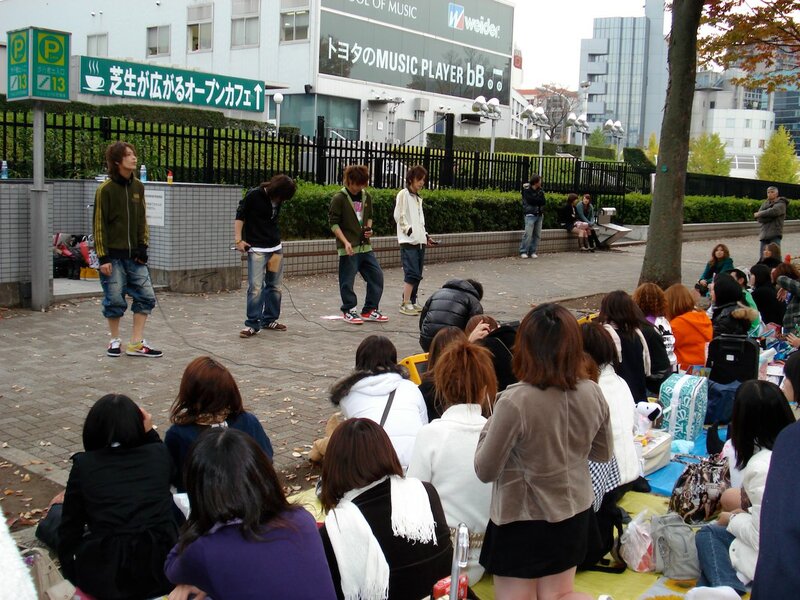 While bands and other entertainment are banned from the park that doesn't stop them from setting up on the corner between Harajuku Station and Yoyogi Park. As well, the corridor south of Yoyogi Park to the NHK buildings is usually bustling with bands and street theatre. Cosplaying is a major part of the park's culture and every Sunday groups descend on the park. In turn, photographers descend on them in equal numbers. 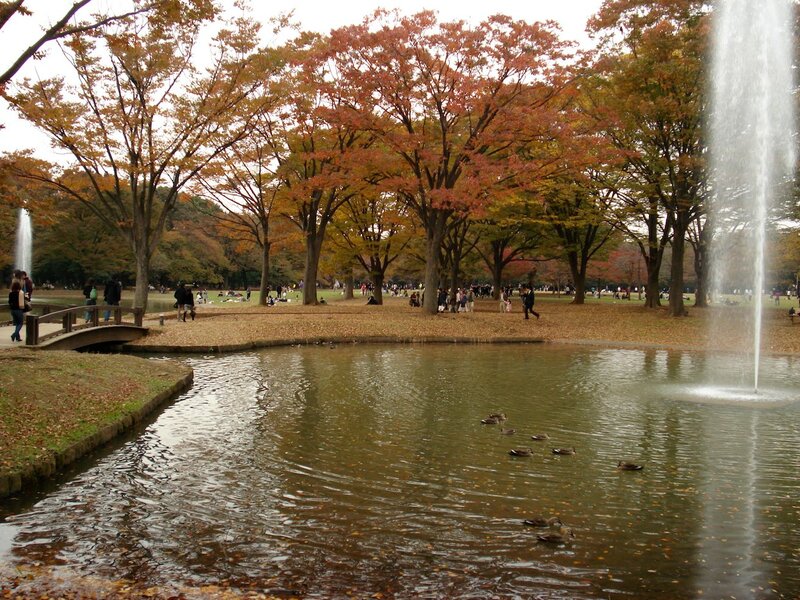 The area where Yoyogi Park is today was the location of the first powered flight in Japan by Captain Yoshitoshi Tokugawa on December 19, 1910. It later became an army parade ground. During the occupation, barracks to house US officers were built as part of a camp called Washington Heights. The 1964 Summer Olympics took place around the park and many of the sports venues around the park were built for them. The park was created in 1967 where the Olympic village was. 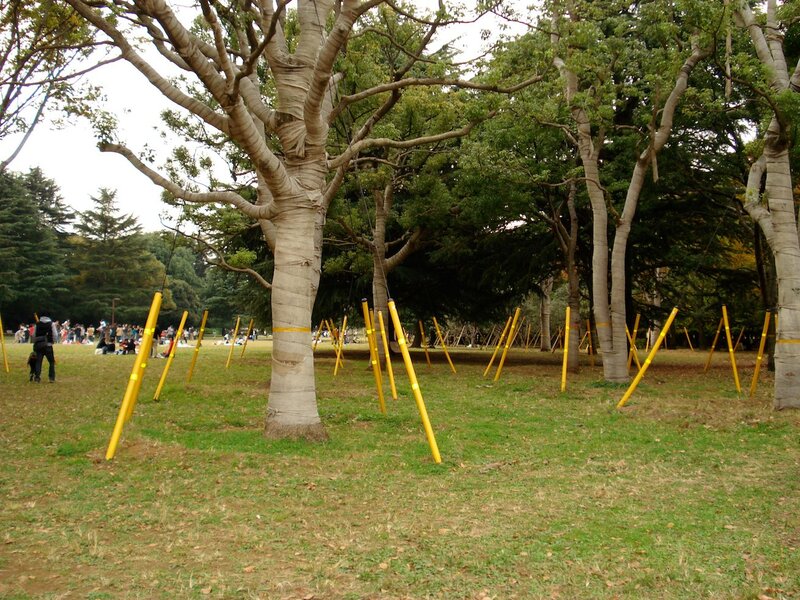 Tokyo is bidding to again hold the Summer Olympics in 2016 and Yoyogi Park is once again an important part of the bid. Tokyo governor, Ishihara, has backed building a 10,000 seat Olympic stadium in the park as part of Tokyo's bid. Yoyogi Park is located on the west side of Harajuku Station. The Meiji Shrine is adjacent to the park to the north, but, there are no pathways between the two as the forest there is a bird sanctuary. 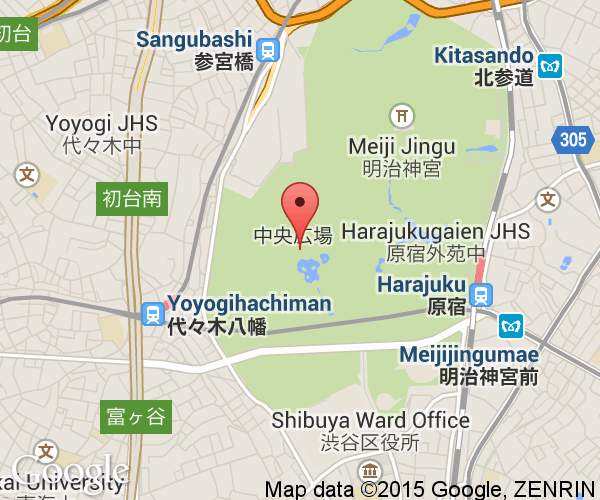 So, you must walk past the entrance to Meiji Shrine to actually enter the park. JR Harajuku Station is on the Yamanote Line which makes Yoyogi Park easy to reach from most parts of Tokyo.